Speaking during the presentation of prizes after a football tournament he sponsored, Kennan Phiri said he was determined to help carb youth delinquency by sponsoring activities intended to keep the young people busy. Phiri said he recently sponsored football and netball tournaments to help shape young people into responsible citizens. “I will continue supporting you the youths of Chipangali counstituncy, what I don’t want is to see you wasting your time in activities which will damage your future, am encouraging you players to work had as this is how all those Zambian players you see in the national team started their career,” said Phiri. He said it was disappointing to note how selfish politicians abused young people during election periods and became “useless” to them soon afterwards. “Many of us youths become important when it is time for voting, we must show them that we youths are important in the development of our country,” he said. And Phiri has also urged women to remain focussed and participate in some sporting activities such as netball instead of rushing into early marriages. And speaking at the same tournament headman Gama commended Phiri for sponsoring the tournament and keeping the youths busy through the tournament. 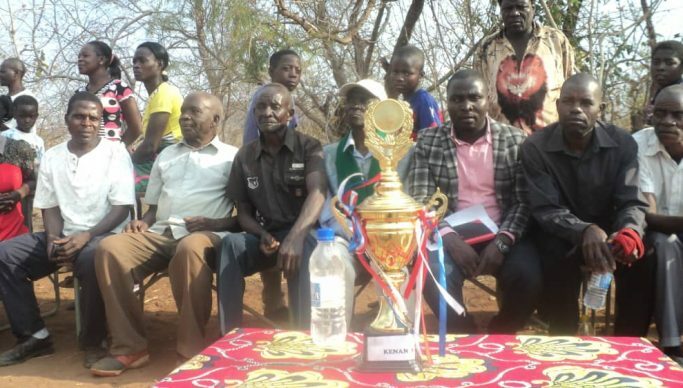 “These youths spend most of their time drinking beer here, so such tournaments should continue in order to make sure that our youths are busy all day, and interact to each other,” said headman Gama.